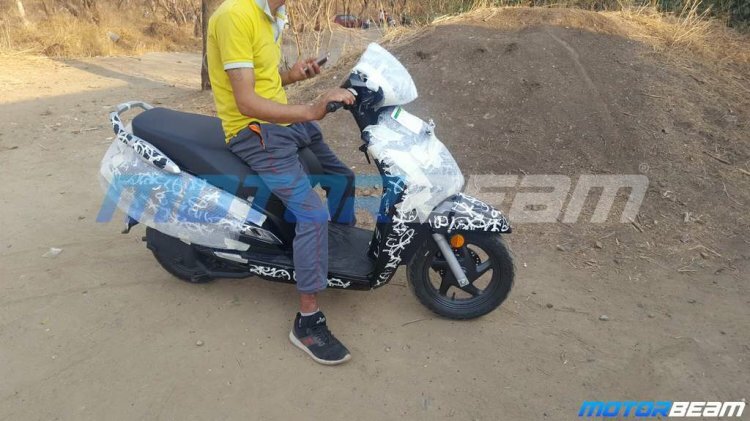 The next-generation Honda Activa was caught on camera at the Automotive Research Association of India (ARAI) facility. Next generation Honda Activa would receive telescopic forks at the front. The new suspension setup would offer improved ride quality to the Honda Activa 6G. The Honda Activa 6G was seen with heavy camouflage and plastic wraps to keep the details covered. However, the photographs reveal some juicy information – the biggest of which is the addition of telescopic forks. The current generation model uses a spring-loaded hydraulic type front suspension. The addition of telescopic forks would improve the ride quality of the scooter. It’s rival, the TVS Jupiter, already uses the same hardware and the scooter has been lauded for its ride quality. The rear would most likely continue to use the existing spring-loaded hydraulic type shock absorber. 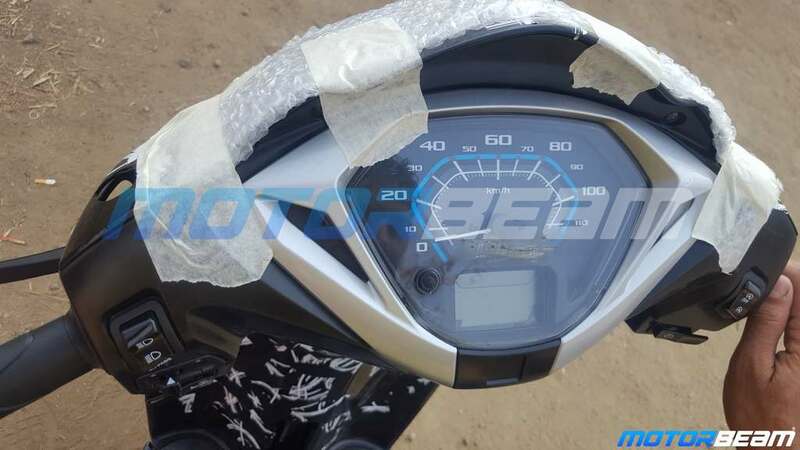 The test mule also revealed that the next-generation Activa would receive alloy wheels and a disc brake. Both the features would be reserved for the DLX variant while the base variant would continue to use steel wheels and 130 mm drum brakes. The safety net of CBS would be available standard. The fascia would receive a tweaked headlight design while the illumination duties, similar to the Activa 5G, would be performed by a LED headlight. The front apron could also get a few design changes for a refreshed look. Styling would mostly stay similar to the current Honda Activa that is designed to be a family scooter. The instrument console would also receive a significant overhaul and the unit on the next generation Honda Activa would feature a revised design for the speedometer. A digital screen will display rest of the ride related information such as odometer, fuel gauge and service reminder among others. The switchgear remains almost identical to the current generation model although the Activa 6G would come equipped with an engine kill switch. Also seen in the spy images is a glove box that would most definitely come with an optional USB charger. The feature is already seen on Honda’s Grazia 125 cc scooter. The Activa 6G would retain the 4-in-1 lock with seat opening switch that is also seen on the current generation model. The engine specifications would see a significant revamp too as the BS-VI compliant model would come with a fuel injected motor. For reference, the BS-IV compliant Honda Activa features 109.19cc, fan-cooled engine that delivers 8 bhp of power at 7,500 rpm and 9 Nm of peak torque at 5,500 rpm. The instrument console would receive a design update while the switchgear would witness the addition of an engine kill switch. The Honda Activa 6G would receive a hike in prices and would retail at a premium over the current model’s INR 54,206 (STD) and INR 56,071 (DLX) price tags.